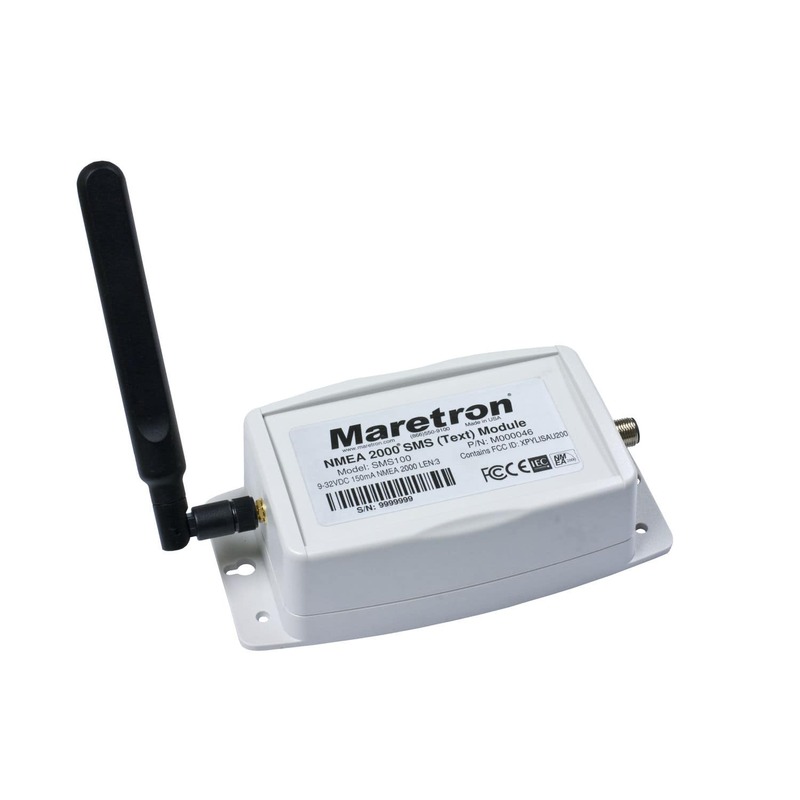 Maretron's SMS100 is a mobile or cellular modem that automatically sends text message alerts from your vessel to your phone. The SMS100 works together with Maretron's® dedicated displays (DSM150 / DSM250) or N2KView® software to detect programmable alert conditions from sensors interconnected on an NMEA 2000® network. The displays or N2KView® software instruct the SMS100 to connect to the cellular network and transmit an alert message to selected telephone numbers. Whether it is high bilge water, low battery voltage, unplugged shore power, or an opened hatch or door, the SMS100 quickly alerts you to conditions onboard your vessel that require attention anywhere you have cellular network coverage.